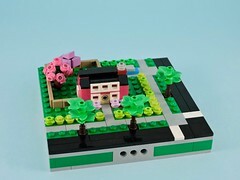 Building at small scales can be tricky. 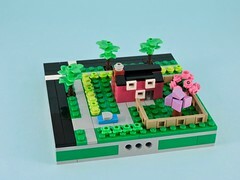 LEGO is a versatile building system, but elements can only get so small before they are too small to handle and interconnect. 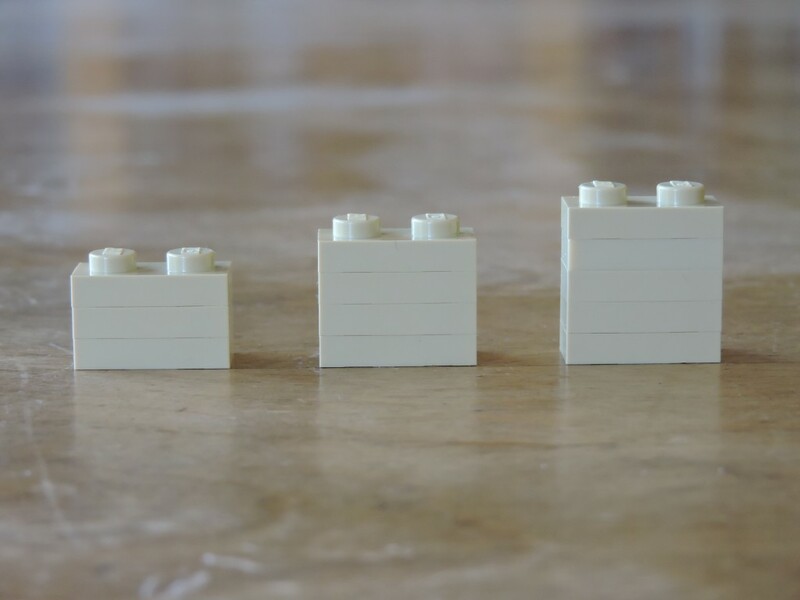 The smallest common element is a 1×1 plate which would be 7.5 feet across and 3 feet high in Micropolis (making it about 1:285). That is a grainy pixel! 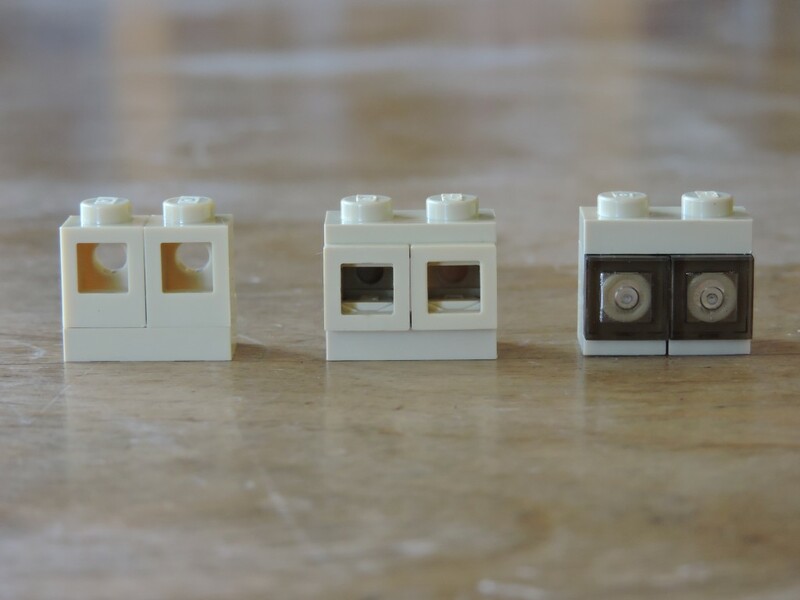 Due to the low resolution of LEGO at this scale, most builders tweak the scale of to keep things looking right, letting some details get a little to big or small. Cars are usually represented by a 1×2 jumper with a 1×1 tile on top. That makes a car 7.5 feet wide, 15 feet long and 6 feet high. That basically means that everyone in town is driving massive 70s era sedans. Those roads are an awkward width too, but we’re here for the architecture, not the infrastructure. I’ve seen a number of models where the builder has played fast and loose with scale in one or more dimensions. On their own, these buildings can look great, but integrating them into a city can be distracting. 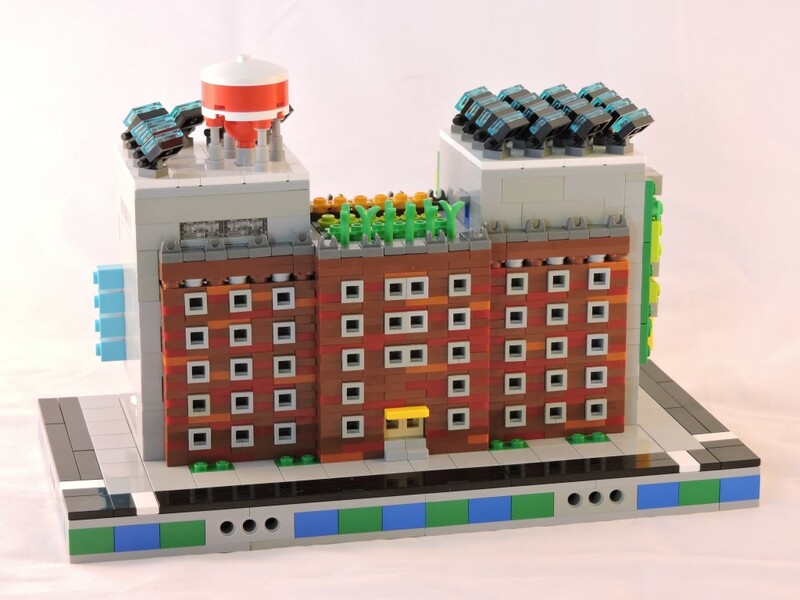 I saw a nice little stadium model recently that had been built onto a full Micropolis block (four 16×16 modules). As Dag pointed out last week, a single block is barely an acre. That is too small an area for a sports field, let alone a stadium to be built around it. A handsome model, but it was going to cause dissonance in a layout. A little research can go a long way. Google can be your friend in finding out the size of common buildings. Once you know how many square feet your building should be, it is easy enough to convert that to studs. With your footprint in mind, it is time to think about height. A residential ceiling is usually about 8 feet, so each floor should be about 9 feet (3 plates). Commercial real estate will probably have 12 to 15 foot floors (4 or 5 plates). This gives you some easy guidelines that can be mixed in matched. Mixed use buildings often have a high ceilings for their ground floor retail spaces and then more compact upper floors of residences or offices. All of this can be flexed with the character of the building. I often use 12 foot (4 plate) floors to give apartment buildings more expansive interiors. Windows are a key feature in most buildings, and representing them accurately can pose a number of difficulties relating to scale. One of the most common elements used to represent windows is the headlight brick. This versatile element can easily represent three types of window. Using the back of the brick, the open anti-stud makes a simple and effective opening. Though one of the smallest ways to represent a window, it still scales to a roughly 4’x4′ window, which isn’t actually that small. Turning the brick on it’s back, the bottom can provide a similarly sized opening, but this time with a generous frame around it. This is an excellent way to represent windows with contrasting trim. Once again, the scale here is a bit out of sorts with a 4’x4′ opening and an outside dimension of 7.5’x7.5′. That’s a thick trim! The third option is to turn the brick so that it faces outward and place a tile on the recessed side stud. Using a translucent tile can be a great way to represent the big expanses of window in modern architecture. Here we are representing a 7.5’x7.5′ window and that’s a sizeable piece of glass. Successful scale building requires an attention to the details. Small deviations can add up on a model and damage the proportions in ways that aren’t immediately obvious. By paying attention to dimensions and being conscious of where we bend the scale, we can not only maintain the fidelity of our models, but provide a consistent visual language that speaks to the viewer.